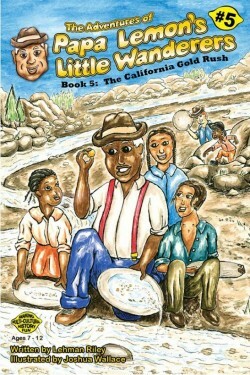 The Little Wanderers go back to the mid 1800’s in order to meet John Sutter & James Marshall, the fathers of the Gold Rush. Will they only find fools gold? What will they learn? Climb aboard for another fun and exciting adventure! 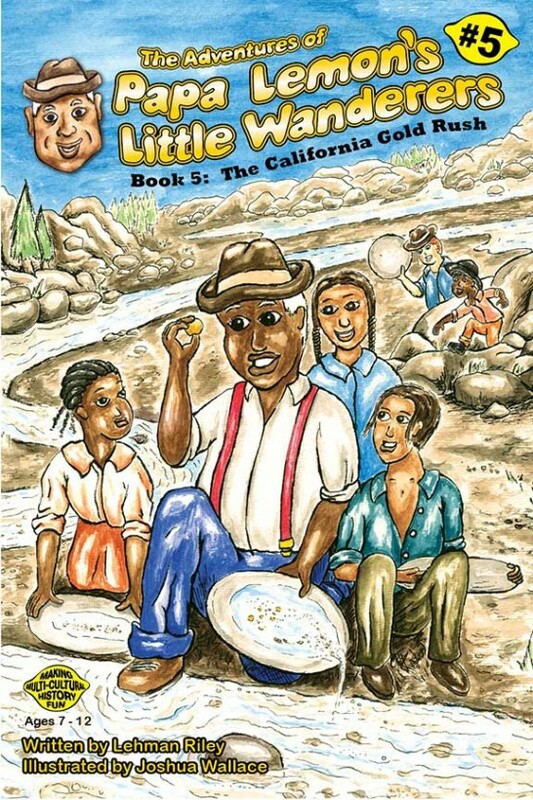 The Adventures of Papa Lemon’s Little Wanderers Book 5: The California Gold Rush” is a history lesson via time travel for the Little Wanderers, an adventurous multicultural band of time explorers who have the wonderful guidance of the neighborhood grandparents, Papa Lemon and Mama Sarah. 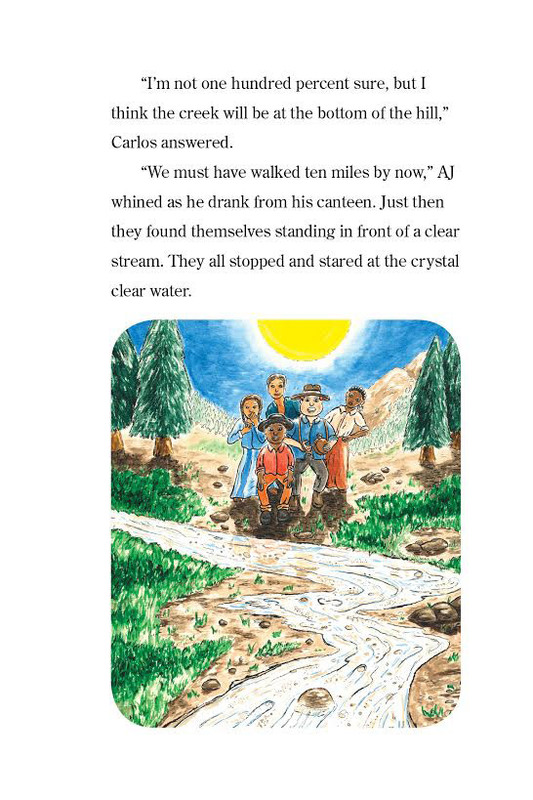 For this adventure, the time dial is set for 1848 and the California Gold Rush, but somehow the group overshoots their date with destiny and lands in 1851. What will happen? 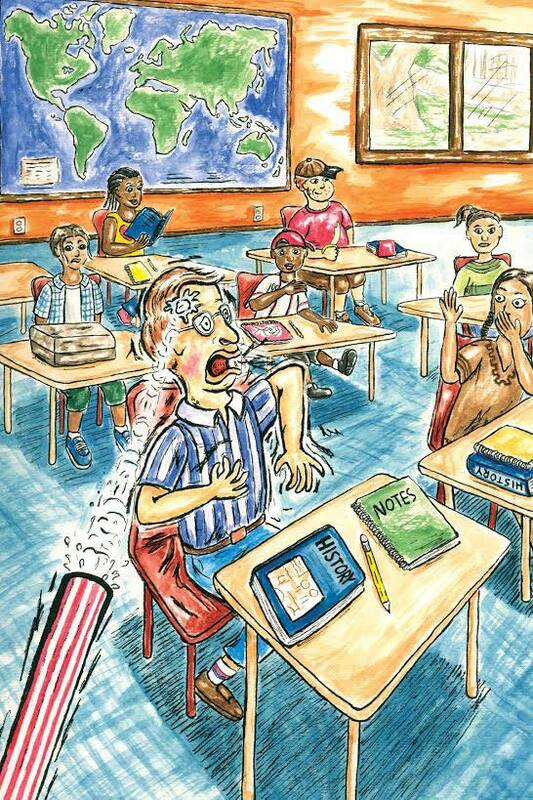 Clearly illustrated portraits show that each character has different cultural/racial origins. In addition, the characters of the group are well delineated, including Nikki, the leader, Carlos the protector, Baby Buck the know-it-all, AJ the worrier, Kaya, the diva, and of course Papa Lemon and Mama Sarah, the neighborhood grandparents and moral compasses in time explorations. Kids ages 7-12 will really enjoy following these amazing events in text and colorful hand drawn illustrations, bringing to life the motto of the publisher, “Making Multi Cultural History Fun!” Also highly recommended in this series is “Book 1: Meeting Dr. Martin Luther King,” “Book 2: The Dangerous Escape from Slavery,” “Book 3: World War II, The Navajo Wind Talkers,” and “Book 4: The Life of Babe Didrikson ‘Greatness Is Never Forgotten’.” Watch for future installments of this marvelous series with its unique vision of preserving family heritage and mission to promote inter-generational relationships, positive family connections, and learning about diverse family backgrounds.